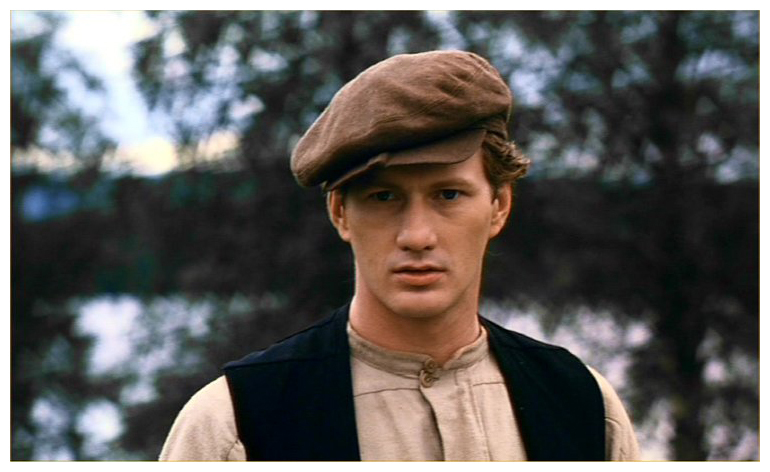 The story takes place toward the end of the 19th century. An isolated Swedish town suddenly gets swept up in a kind of spiritual contagion. The town is bent on demonstrating its passion for godliness, often at the expense of its humanity. 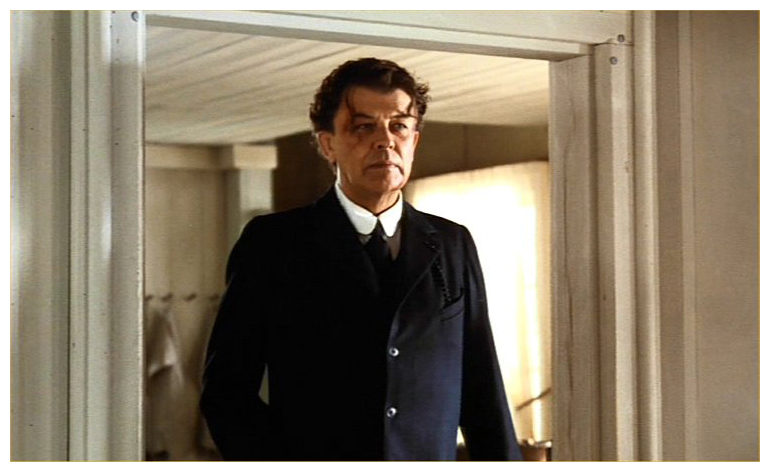 At the center of the growing spiritual hurricane is Ingmar who has inherited his family's farm. 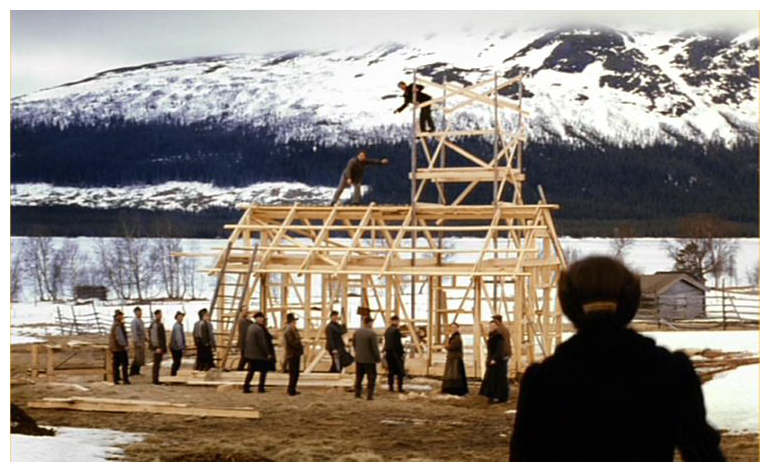 His brother-in-law wants the farm and the prosperity it represents, and he and Ingmar's sister conspire to make Ingmar a kind of ward of the local minister, the aptly-named Reverend Storm. 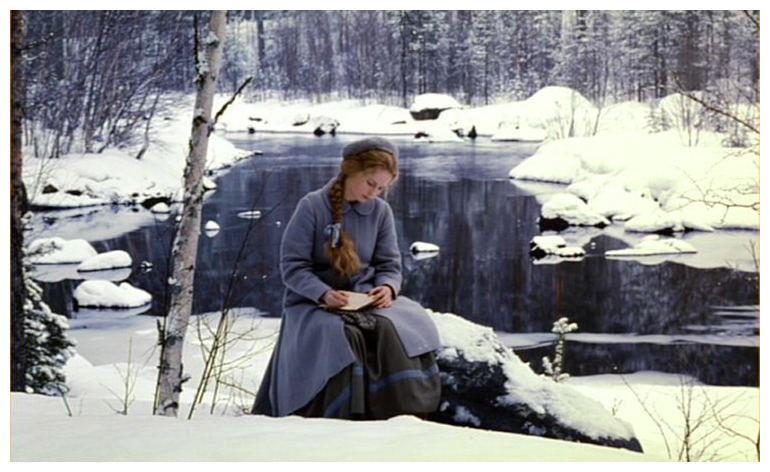 There is a deep attraction between Ingmar and Reverend Storm's daughter Gertrud. The tempest gathers force when another minister called Hellgum comes to the little town. A strange, messianic figure, Hellgum insists on total commitment to his vision of a God who uses Hellgum as His instrument. 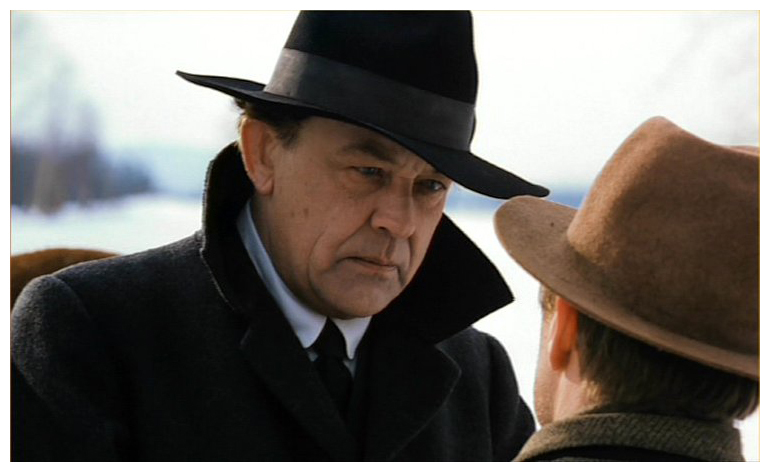 The gesture of dedication Hellgum insists on tears apart Ingmar's already strained family, and threatens his love for Gertrud. 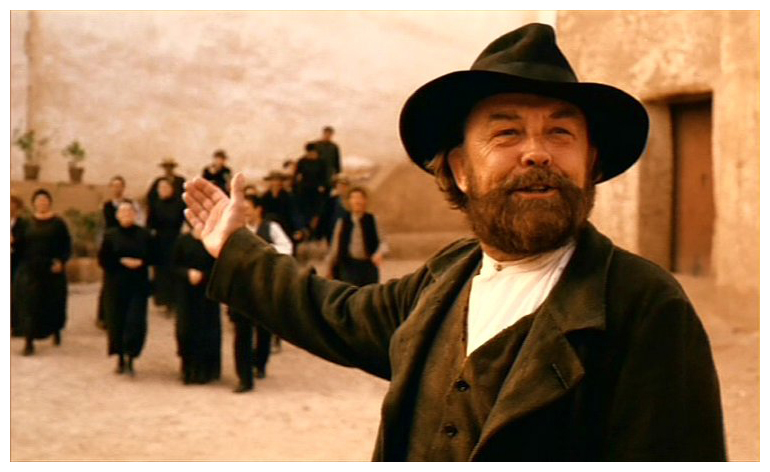 The turning point in these people's lives comes when Hellgum decides to lead his followers to Jerusalem to join a colony under the leadership of Mrs. Gordon, his teacher from Chicago. Convinced that the end of the world is near, most of those under Hellgum's influence decide to join him. It was a major dream come true at last. In many respects, "Jerusalem" is a very modern and important story about people in a period of transition, with all the unrest that permeates society on the eve of a new century. The big life issues are at stake. The novel is a penetrating study of morals and ethics. It is not a "religious film." It is a magical and gigantic love epic: a straightforward tale about the universal power of love, with man in the center. I was mostly interested in it as a theatrical film. Personally, I am not so interested in television, simply because I don't watch television myself. I'm into movies. And I wanted to make "Jerusalem" as a feature film. But we couldn't finance it only through theatrical release, we couldn't get all the money we needed. We had to get some money from television. So we said, ok, let's do it both ways. So we did it in four parts. There is a four-hour version for television. But it was mainly done for theatrical release. Who doesn't know the pleasures of time spent with a great fat novel, one of those sprawling epics that's not shy about taking its time? 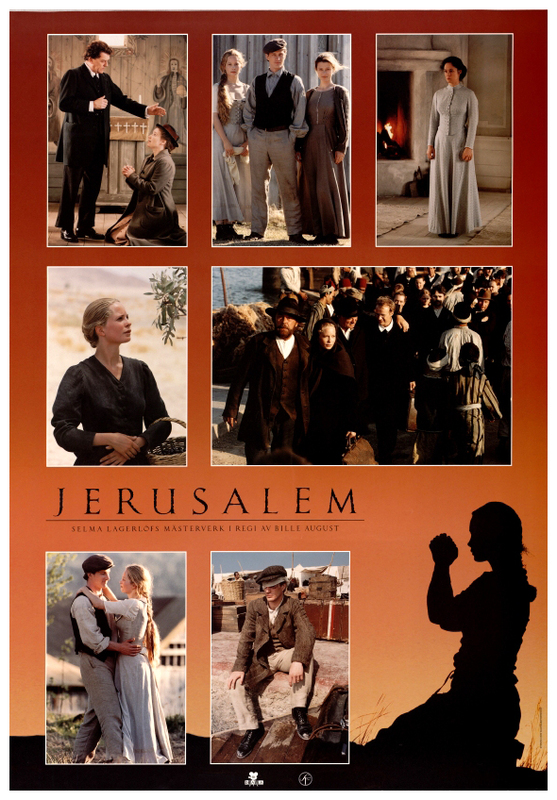 "Jerusalem" is just such an unapologetically old-fashioned film. At two hours and 46 minutes, it's a long slog at a stately pace, but the kinds of satisfactions it offers don't come any faster, at least not in this life. August, working with a Swedish-speaking cast primarily for a Northern European market, has been able to bring a vivid sense of place and authenticity to the production. Scandinavian to the core, this film has the kind of reality that big transatlantic budgets cannot buy, a visual context that grounds the story and strengthens it. 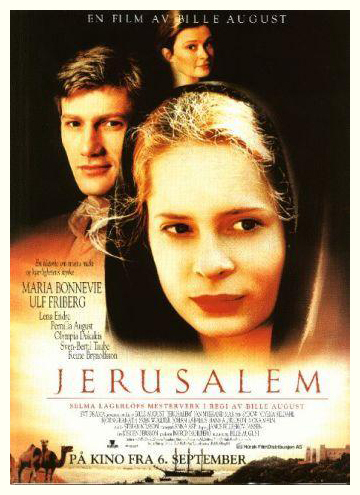 Not that "Jerusalem" is some kind of stark and bloodless affair. It's rife with melodrama and contrivance from start to finish, featuring everything from arranged marriages and attempted murders to visions both sacred and profane, a secret birth, a family curse, inheritances lost and found and even a case of hysterical paralysis. But the cast, most of whom are unfamiliar to American audiences, plays it with such conviction that it is not difficult to go along for the ride. Serving as an interesting counterbalance to the narrative hokum is the core of "Jerusalem," a story about the persuasiveness of religious faith, its coercive power and its human limitations. The film is also a tripartite love story, concerned with love of God and love of land as well as the love between man and woman. 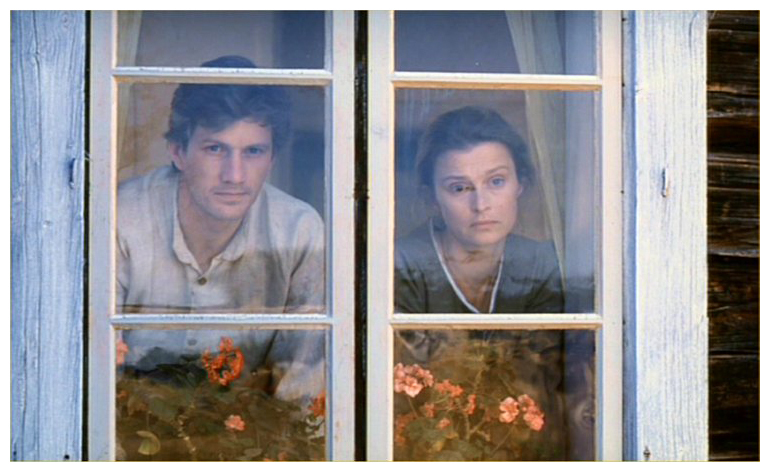 Even as little children, raised together in a turn-of-the-century Swedish village though not actually brother and sister, Ingmar and Gertrud seem destined to marry. But the dance that brings them together also sounds a cautionary note: It's disrupted by a terrible storm and all the young people worry whether their actions have brought God's wrath down on them. The centrality of religion in everyone's lives is upped a notch when a messianic fundamentalist preacher named Hellgum comes to town, confidently insisting that the end is near. With some saying he is a man of God, others calling him a mad swindler, Hellgum's presence splits the village. 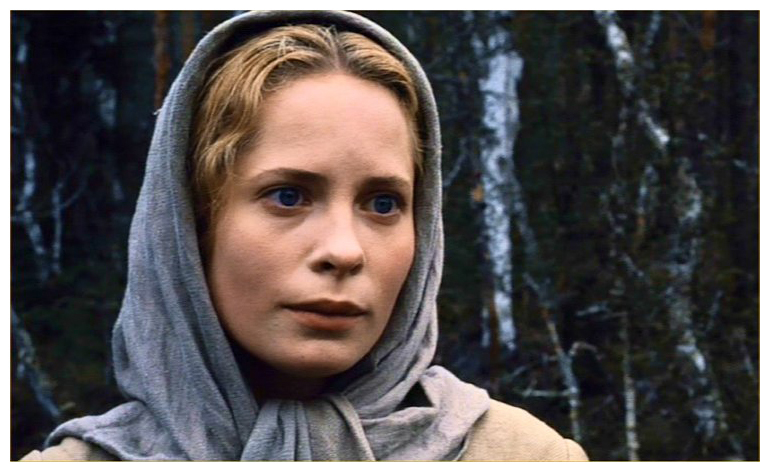 Ingmar's well-to-do sister Karin sides with Hellgum, and, with Ingmar away for months trying to earn money so they can marry, Gertrud is tempted as well. Adding complications is Hellgum's passion for the Holy Land, his belief that all Christians are being called there to help build the New Jerusalem. Lagerlof's original novel was inspired by Swedes who made a circa 1900 pilgrimage to Palestine, and writer-director August, who dedicates his film to the same people, is careful not to be judgmental. Despite the myriad pulpy turns this plot takes, no one's sincerity is ever questioned; everyone, even those whose choices turn out badly, is allowed the grace of having their faith taken seriously. Working as usual with cinematographer Jorgen Persson, whose credits go back to "Elvira Madigan," August has filled "Jerusalem" with beautifully mounted re-creations of Swedish village life. Though it doesn't have a trendy bone in its body, "Jerusalem" leaves you feeling you've experienced something.